As 2019 begins and we make resolutions to let go of last year’s shortcomings, it’s crucial we consider the planet in our desire to make positive change. Experts agree that human activity is a cause of the warming planet, pollution, and depleting resources. Our goal every day is to provide solutions to businesses, industry and municipalities that safeguard operations and communities. 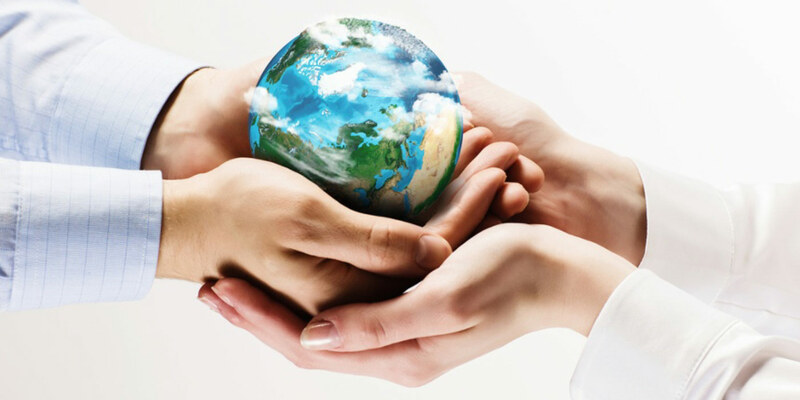 The Veolia Pledge is our dedication to the Earth to include the following resolutions in our own personal goals. The fashion industry is responsible for a significant percentage of adverse environmental impacts on water consumption, plastic recycling and the world’s carbon footprint. According to the Ellen MacArthur Foundation, the fashion industry produces 1.26 billion tons of greenhouse emissions every year and releases plastic debris equalling 50 billion plastic bottles into the ocean. Additionally, the industry requires billions of gallons of water to produce its goods. While there have been strides made in the industry to ethically and sustainably produce goods, there are still leagues more to be done. As consumers, there are steps we can take to alleviate these wastes. Clothing companies like Madewell and Levi Strauss encourage buyers to bring in old denim to be recycled. It is estimated that $500 billion of clothing is wasted. Shopping at, and donating to, thrift stores can significantly reduce the amount of clothing sent to landfills. According to the UN’s 2017 report, The Global E-waste Monitor, more than 49 million tons of electronic waste, or e-waste, was produced worldwide but only 20 percent was recycled. The remaining electronics are either disposed of in landfills or incinerated at waste-to-energy facilities. Electronics contain deposits of precious metals. Recycling this metal conserves natural resources, and reduces greenhouse gas emissions and energy usage from mining virgin ore. In fact, the Institute for Scrap Recycling reports that recycling metal reduces greenhouse gas emissions by 300 to 500 million tons annually. Cities and municipalities across North America host local recycling events to help residents properly manage and dispose of their e-waste. Participating in similar events is a small step you can take as a consumer that ensures the reclamation of precious resources and safe materials management. Check with your town to find an event closest to you. Only 2.5 percent of the earth’s water is available for human use. Water is essential to life, but it is common for people to underestimate how much water is used in their everyday lives. The price of clean water is rising and often, we are unaware of the amount of wasted water as a result of habits in the home. Be conscious and decide whether or not you’re able to limit your water consumption in your everyday actions such as brushing your teeth, showering and washing your dishes. Plastic has revolutionized industries and the lives of millions around the world. It is inexpensive and easy to make, resulting in the material becoming commonplace and ingrained into our everyday lives and purchases. According to the UN, out of the 155 million tons of plastic waste packaging, only 14 percent was recycled. The remaining 86 percent was sent to landfills, incinerated, or littered. In addition, plastics are causing the extreme damage of marine habitats, National Geographic reports that 8.8 million tons of plastic end up in our oceans every year. Research shows that the vast majority of ocean plastic comes from cities without access to waste management and recycling. Plastic pollution is a global concern, which is why Veolia is a proud leader of The Alliance to End Plastic Waste, a global initiative made up of almost 30 major global and regional companies that will work together to improve the way the world manages plastic waste. At Veolia, our goal is to provide communities and organizations best-in-class solutions to the world’s most pressing environmental issues. As consumers, we are just as dedicated to ensuring the prosperity of our communities. We invite you to join us this year and make 2019 as sustainable as we can. Learn more about the Alliance to End Plastic Waste by downloading the fact sheet!